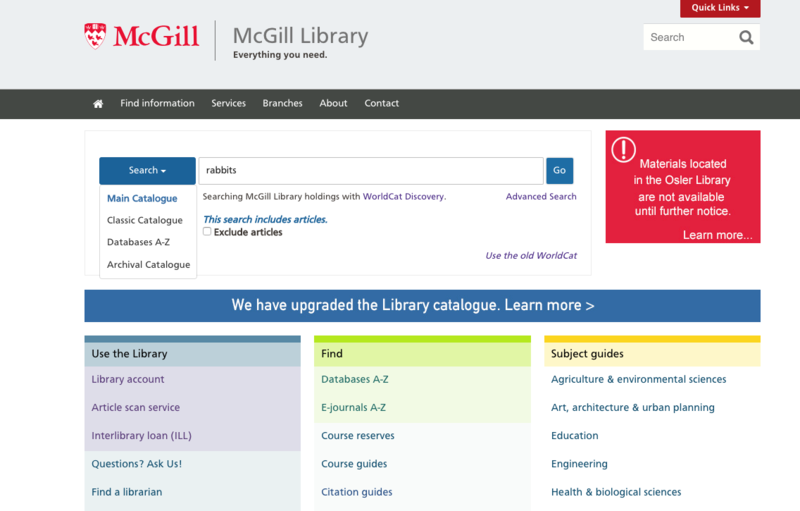 If you need general help on using the Worldcat catalogue, please visit the guide on Finding books & media. Enter your search terms into the search box. 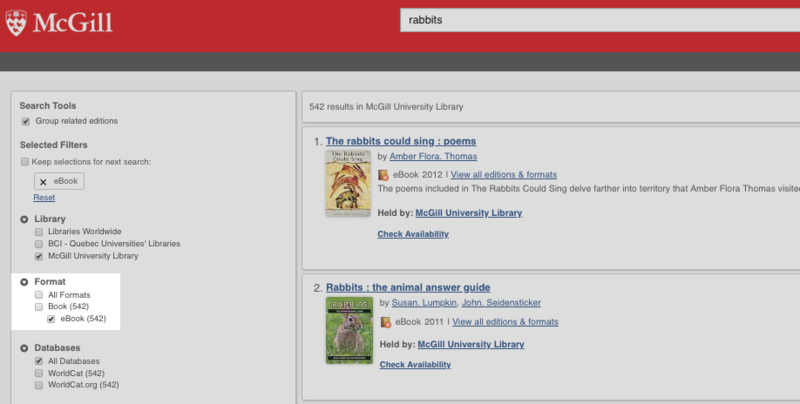 Here we will try the search term “rabbits”. Now, limit your search results by choosing the option “eBook” on the left side of the page under the "Format" section, by clicking in the box next to the word "eBook". A check-mark should appear in the box. This means your search results will only show content that is in e-book format. There are several ways to access the e-book, all of which are external links to the collection which has published the e-book. Clicking on the "View Now" shows you a list of external links which go directly to the e-book content. There may be more than one link in the list. Each leads to the same-book, but at different e-book publishers. When the library buys e-book collections, sometimes there is content that overlaps with other collections, and we may end up owning the same material in more than one place. If one link does not work, you can try the other ones that are listed. Clicking on the "View All Editions" link brings you to a list of all the editions that the library owns. This allows you to see the most recent edition. Clicking on the title brings you to the detailed catalogue record. Clicking on the "View Formats" link brings you to a list of available formats and languages. 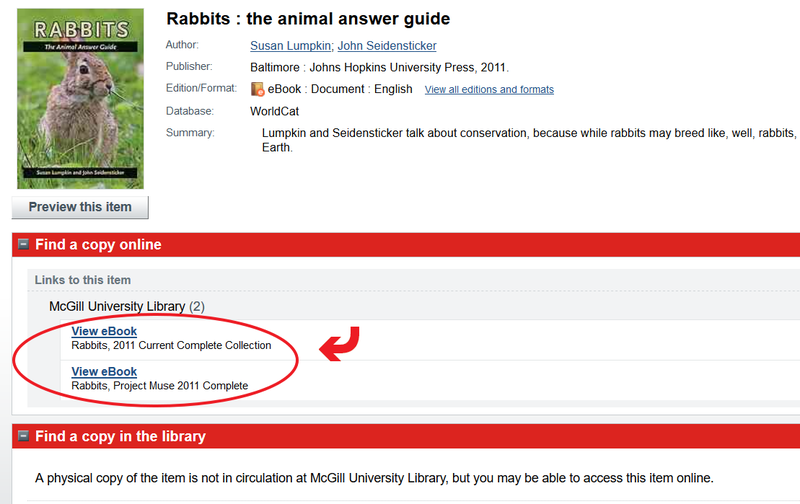 Additionally, the detailed catalogue record also lists all the collections where the e-book is located. This is useful in the case of e-books that have limits on the number of people who can read them at the same time. If one link does not work because all copies are being used, you can try the other links. 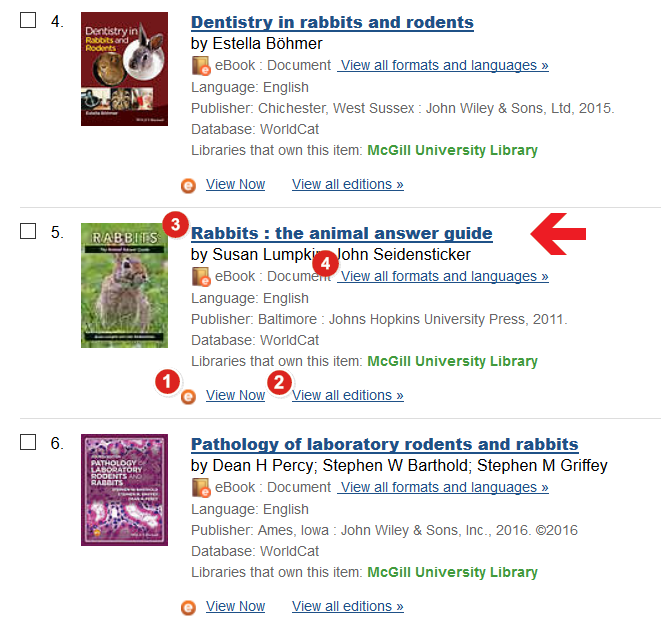 The classic catalogue does not included e-resources and it will not show e-books in search results, therefore you cannot access e-books through this catalogue.